I recently contributed to work of a learned colleague at Kings College London to produce materials for staff outlining copyright good practice for staff, researchers and students. The materials are now available as e copies here. There have been a number of thought provoking pieces in the press and on blogs recently around common intellectual property (IP) violations, which appear to be becoming endemic online. See here and here for some really interesting blog posts and here and here for a couple of articles raising the issue in The Guardian. This is becoming quite a hot topic, and I just submitted a piece for a journal on the subject. I see it as an essential digital literacy and a key part of Digital Professionalism. There is some really useful information on Creative Commons Licenses here and naturally, Jisc have created a useful resource on Copyright and IP law too. Ian Calder (a recently escaped to Aberdeen, eLearning Technology and Moodle Guru) and I produced the infographic below, specifically for staff at King’s College London. The article I have written for publication will include a generic version of this King’s specific material, but in the mean time, there is some useful material in this illustration below on resources that may be of use to academics and students who would like to use material such as photographs, illustrations and music to embellish their work and are not sure of how to source it. Many of the resources listed here are accessible to those outside Kings College London. If you work at a university, chances are, you will also have access to an internal library of resources and they will also have an NLA license to use material for teaching too. 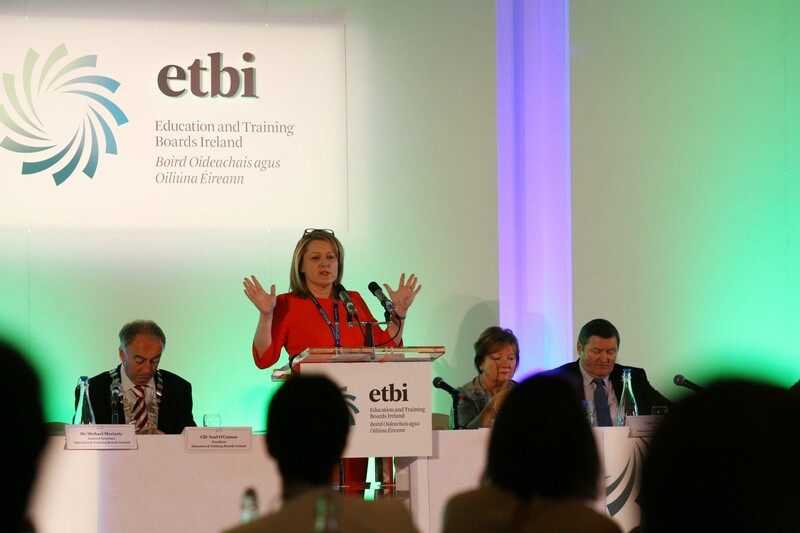 I was delighted to present at the 109th annual ETBI (Education and Training Boards Ireland) which was held this year at Killashee House Hotel in Kildare, Ireland. It is always valuable to network and I wasn’t at all suprised to find educators and employers who are concerned by the same issues we currently encounter in the rest of Europe and the USA. The internet has made the world such a small place. Internationally, awareness is rising around how a digital footprint can impact on employability. The slides I used for the presentation are here, although I have removed some of the material I used as it was licensed for live presentation only. However, I was not prepared at all for the amount of press attention I received immediately after my presentation – I was contacted by three radio stations for interviews, but I found the first interview so nerve wracking that I couldn’t bring myself to speak to Radio Ulster or the BBC. I have already signed up for media training at work, I will hold back until after that. There were a number of national press articles about my presentation too. There were two articles in The Independent, here and here. This article doesn’t bear much resemblance to what I actually said, which is quite disappointing.